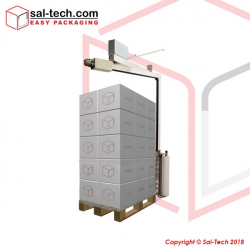 The bag closing machines are perfectly suitable for sewing sacks made of various materials such as, but not limited to, jute, hessian, PP/PE woven cloth and others. The following sewing equipment can be either handheld or wire hanged, as desired. 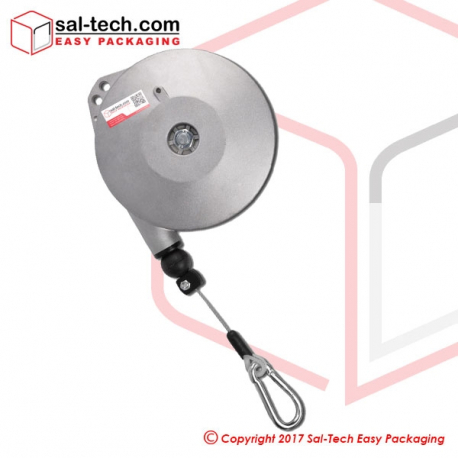 Providing a neat cut to bags and/or sacks, these tools also secures consistency, productivity and portability without having to exert much effort. Bag Closing Machines - Sewing Machines There are 26 products. 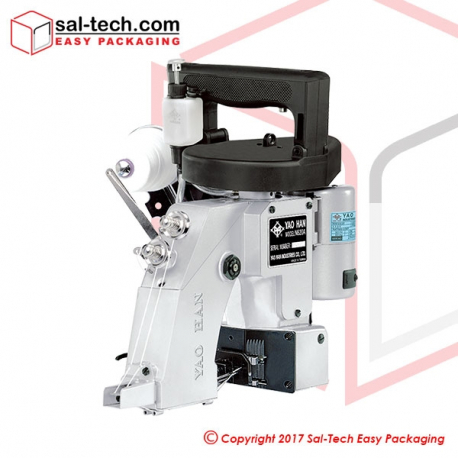 STEP F900AC tape and standard sew is a super heavy-duty, high-speed bag closing machine. 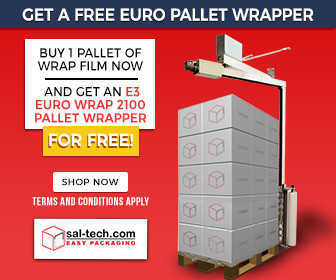 It has a self-lubrication system that protects moving parts and ensure maximum productivity with low maintenance. 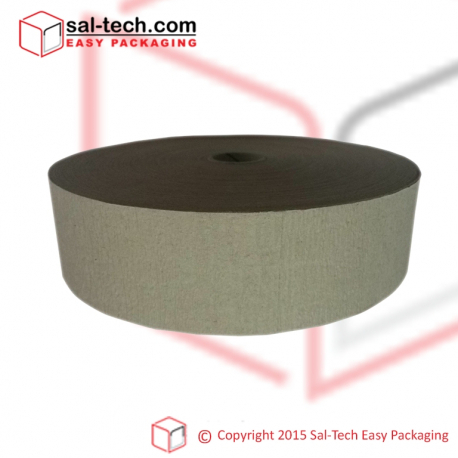 Easily adaptable to your existing equipment, it can be used with standard two thread stitch or one thread stitch. 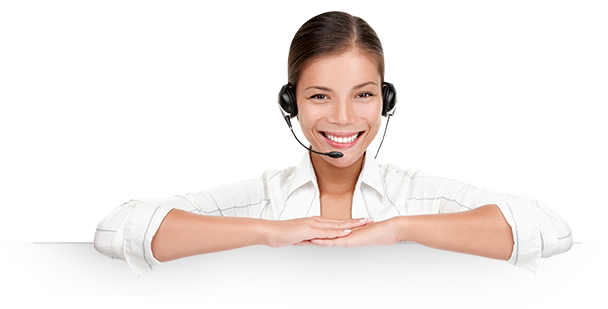 It uses pneumatic cutting thread and tape. 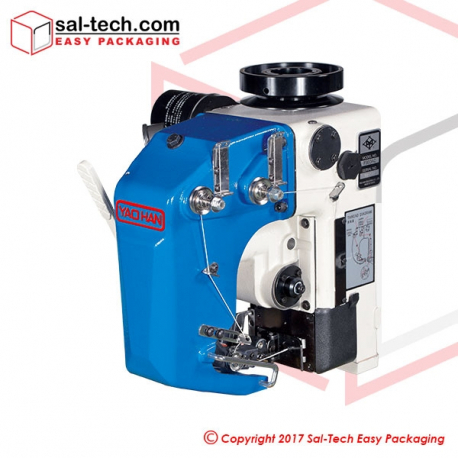 The STEP F900A standard sew is a high speed and super heavy-duty bag closing machine﻿ designed to have a long-range smooth performance with low vibration and the latest innovation in trouble-free bag sewing technology. STEP U700RL high speed and heavy duty bag closing machine uses 1 needle and 2 threads chain stitch with pneumatic thread cutter﻿ for faster and easy usage. STEP U700C high speed bag closing comes with a 1 needle and 2 threads chain stitch for a heavy duty sewing for closing filled bags made from burlap, jute, woven poly, cotton, plastic and paper. STEP N600A-AIR bag closing machine is a bag closer with air motor. 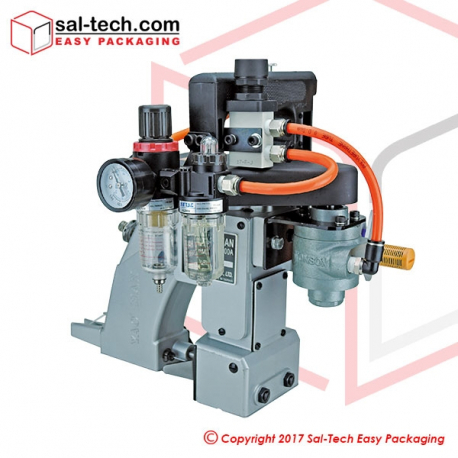 It has a special plastic handle material for safety, superior powerful lubricator, automatic thread trimmer, explosion proot, low maintenace and more effective for technical revolution. 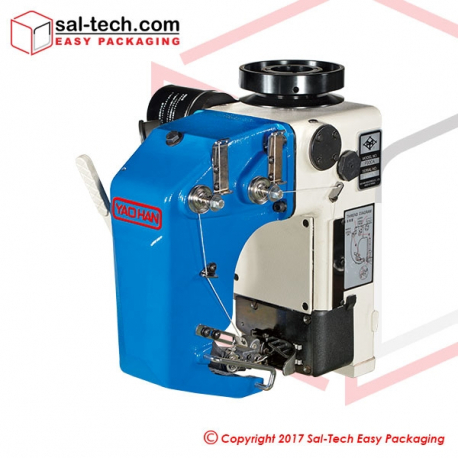 STEP N640A is an industrial sewing machine that uses 4 threads with 2 needles for very reliable packaging for all kinds of paper, cotton, PP/PE, hessian, jute, etc. It comes with oil pump lubrication system to make oil line direct lubricant to main moving parts. STEP N620A bag closing machine uses 2 needles and 2 threads for a sturdy stitch enables it to handle heaviest of workload in an industrial or agricultural environment. 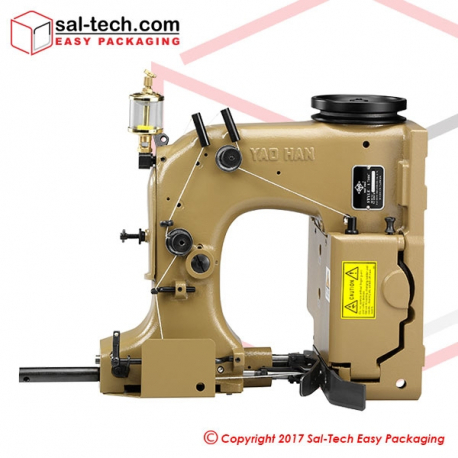 It has a maximum sewing speed of 1600-1800 rpm and an automatic thread trimmer. 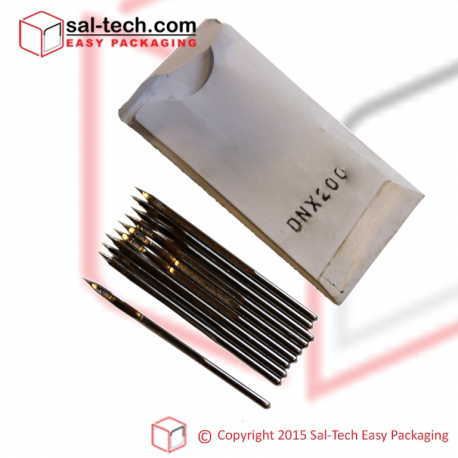 Needles for bag closing machines using DNX 200 gauge of needle. 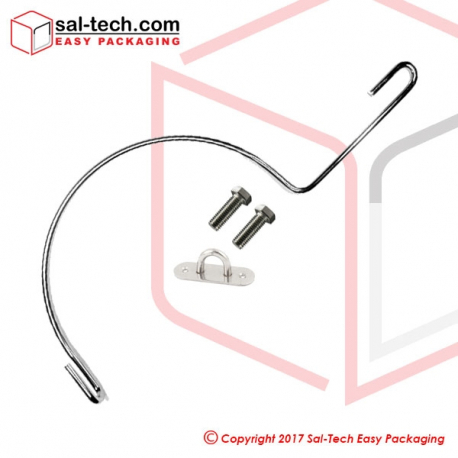 Hanger kit for SK26-1A and similer hand held bag closer and sewing machines to be hanged on spring balancer secure better workable conditions.